For my August Beauty Guru post on Yahoo! Shine, I wrote about how I transition my personal beauty routine from summer to fall. My readers have spoken and felt that I did not give enough detail in that post. I would especially like to thank one Yahoo! reader, Westlin for being honest and telling me exactly where I went wrong. Westlin, as I advised I would do, I am writing a blog post giving details and tips on transitioning from summer to fall. 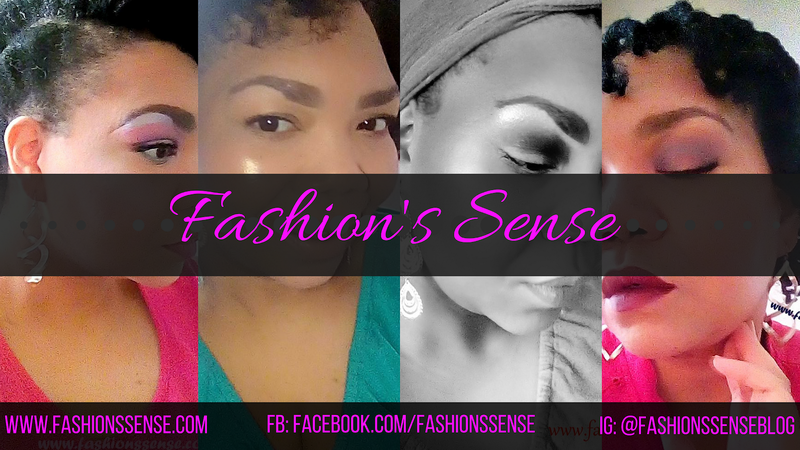 This is a two-part series beginning with skincare and finishing with transitioning into fall's makeup trends for part two. The reason for product transitioning between summer and fall has to do with the changes in the air quality. Summer air tends to be warmer with more moisture in it. Your skin does not require a heavy moisturizer as oil production tends to increase during this time of year. As fall approaches and going into mid-fall, the air becomes cooler and drier in many areas. This means the air may actually take away moisture from your skin. 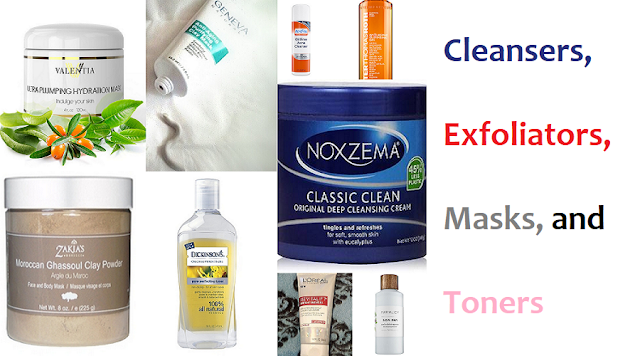 To compensate, you may need to switch to creamier, more moisturizing cleansers and face creams/lotions. As mid-fall approaches, switch to a creamier cleanser and a richer/thicker moisturizer. If the weather gets cooler or cold early in your area then make the switch as soon as the temperatures make a significant change. Rule of thumb, if you have to wear a light jacket, make the switch. As far as masks and exfoliating go, use them on an as needed basis. If your skin is feeling a bit rough or looks dull, then exfoliate. If you notice your pores are getting clogged, then apply a mask to help unclog them. Note: The remainder of this post delves into my personal routine providing details I left out in the Shine post. Some of you may have all of the info you need to begin making your own transition. If you are curious about how I make my skincare transition, then read on. The products I use during the summer have one primary goal, to control oil production without drying my skin out. I have combination skin that is more on the oily side in warm weather. Therefore, I prefer gel cleansers that contain salicylic acid, glycolic acid, or a combination of both. Moisturizers are oil-free and light weight. Sun protection has to be made with natural sunscreen like zinc oxide and titanium dioxide because I have a photoallergy when it comes to chemical absorbers found in most sunscreens. Once a week I apply a blackhead-clearing mask and exfoliate. These weekly treatments aid in oil control, improve skin texture, and keep my pores clearer. Up until mid-fall, the weather is still comfortable during the daytime in my area. However, the early morning and evening has much cooler temperatures. In addition, the air is a bit drier. This means my combination skin almost begins to behave like normal skin for the oilier areas of my face. However, the drier areas may begin to flake a bit reacting to the cooler air. My routine changes to one that brings my face balance. This means that in the morning I use a cream cleanser. I still use the same light moisturizer from summer. I tend to wear makeup more often, as the weather gets cooler so I will keep using my gel cleanser at night to remove the makeup. Since the night air is cooler and drier, I will switch to a richer moisturizer. My sunscreen needs do not change throughout the year. My weekly treatments change to every other week. One week I may exfoliate, then the next week apply a mask. Most of the products mentioned can be purchased at many drug ad discount stores. Others like Perter Thomas Roth and Avon are sold at the manufacturer's website or through specialty retailers. So my lovelies, I hope this provides a little more insight into my skincare transition from summer to fall. In the post I did for Shine, I had to include both my skincare and makeup switches. They prefer we keep posts around 400 words not exceeding 600 words per post. As you can see, just going over my skincare routine transition is a single post. In a couple of days I will post my summer to fall makeup transition.